Readers will fall in love with the stories that Cindy Keith shares in Love, Laughter, and Mayhem. If you have a relative and/or friend that suffers from dementia, then this book is a must read. I wish I had had this book when my father was alive, but the stories took me right back to him and all that we went through together. If you know any caregivers that are dealing with struggles (and who doesn’t? ), please consider buying this book as a gift that will change their life and the life of the person with dementia. Author Cindy Keith is a Certified Dementia Practitioner and has had many experiences with working with people suffering from dementia. 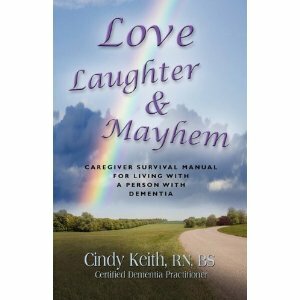 Reading Love, Laughter, and Mayhem can help to take the “suffering” out of the patient’s life. Caregivers usually are dealing with “issues” for the first time in their life, but Cindy Keith brings her experience to stories that bring learning to the reader. You will laugh and cry throughout the more than sixty stories/scenarios. I have shared the book with several people already and they have agreed that the ideas presented within the book are life-changing, both for the person with dementia and for the caregiver. Mozart in the Future by Tania Maria Rodrigues-Peters is a wonderful children’s book that would work for a great read-aloud to have discussion and even writing prompts related to the book. As a teacher of third graders, there are many ways that this book could be a great reading event for my students. Due to the fact that the book has been translated and there are some punctuation variations, it might make it a little difficult for some younger readers, but most elementary readers at the third grade level and above could catch on to the differences and still enjoy the book as an independent read. The storyline is thought-provoking and having worked with many families over the years, one often wonders who is more driven, the child with the special ability or the parent who wants to see their child make it to the top in the field. How many parents are trying to get a second chance at something by living it through their children? In recent years I’ve seen many families that have their children so scheduled into organized sports and/or lessons that the kiddos don’t have time for imaginary play or “just plain fun.” So the “push” that Max, the main character feels from his mother, is not something unknown to many children. This book could be just the thing for parents to share some fantasy AND discuss their child’s goals and dreams. 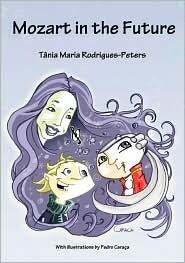 Author Tania Rodrigues-Peters finds a very clever way to bring Mozart (as a boy) into the future and the visit with Max proves to be beneficial to both boys. Personally, I found the storyline delightful and the interchange between the characters a lot of fun. The humor in the story brings many smiles throughout the reading. This fantasy about Mozart as a boy just may bring readers into learning more about this famous composer, but that isn’t the purpose. I often have music by Mozart playing in my classroom and Mozart in the Future will add more to the learning of my students via a very fun and enjoyable book. 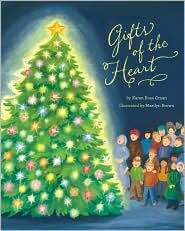 Gifts of the Heart by Karen Boes Oman is a beautifully written and illustrated children’s picture book. The premise is that Grandma and Grandpa show up at the family’s Christmas gathering with no gifts because during a terrible snowstorm on the way, all of the children’s gifts were dispersed all over Mother Goose Land. In this day and age, many children come to school not knowing about Mother Goose and all of her characters, so this is a very enjoyable way to learn about all of those poems at the same time one would read this story to children. The message is in the last line in the book: “And everyone knew that the best gift that night was learning that giving makes hearts feel just right.” The book is written in rhyme and is a fun read, and would be one that families would want to share year after year when celebrating the holiday season. 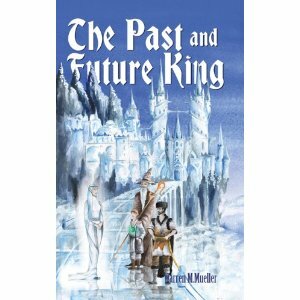 Warren M. Mueller has written a great fantasy in The Past and Future King which takes readers on an adventure of good versus evil where mythical characters of the sort readers have found in the worlds of Tolkien and Lewis struggle for world dominion. Readers will follow the adventures of Tom, the main character, as he journeys to discover his identity and purpose. He loves to read and becomes a friend of Willet, the scribe, who shares his trunk full of books of history and legends, and warns Tom that reading them will “expand and transform” his mind because the “words within them will come alive…” Tom shares with Willet about a recurring dream and Willet tells him that the dream should not be ignored. Through this adventure readers see how dreams bridge the worlds of fantasy and reality. All along, Tom (who is from the second age of earth) is believed to be a “Son of Light” known in the first age of earth as “Egric.” This story contains many mysteries and sub-plots that create tension and captivate the reader’s interest such as: Just who are these “Sons of Light” that will herald a new earth order and what is the strange guiding force that glows within the seeing stone that was given to Tom? Where did the dwarves come from and how can a troll named Min become a Son of Light? Will Tom have enough faith in himself and his newfound friends to handle the responsibility of fighting off evil? Author Warren Mueller takes us into these unknown realms and readers are able to vividly “see” all that is happening. 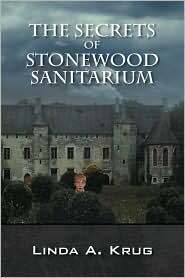 I believe the strength of this book is the wonderfully written descriptions which allow the reader to “experience” the adventures and the “tension” that the story brings with it. Which age of earth will Tom end up in and will good overcome evil? Will he ever see his parents again? Will the knowledge and power he gains from his new friends and the books available to him at Hadrian’s Keep be enough to change the world? The Past and Future King takes you into a fantasy land and readers will be anxious for the sequels to see where Tom’s journey takes him and how evil will stand in the way of finding his purpose in life. Keep writing, Mr. Mueller, because readers are going to want more! Pond Punkies by Lisa Riebe and Cynthia Nunn is not the type of book that I would normally pick up to read. It caught my attention because I wondered what my third graders would think about it. I’m always on the lookout, especially for book for the boys in my classroom because they seem to be just a bit tougher to find reading materials for (at least some of them). Let me say, though, that the girls enjoyed this book, also. As an adult reader, who admittedly hasn’t read much science fiction, I wanted more details about the characters and how they lived on Neptune. Four inch Pond Punkies seemed so “out there,” but then that is what the authors have created. My students say, “But, Mrs. Gilmour, ANYTHING can happen in science fiction.” So I guess things don’t have to make sense to this adult reader. Kids will accept the unbelievable. As a teacher, I appreciate the fact that on the Pond Punkie Website, there are student/classroom suggested activities. Teachers are always on the lookout for already-prepared materials that correspond with literature. This is a real plus for this book since the materials are offered free of charge (always a plus!). This makes the book a valuable resource for classrooms. I know that my students will be looking forward to more books in the series. 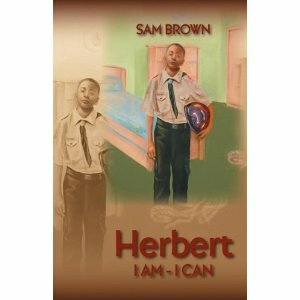 The author of Herbert I AM – I CAN, Mr. Sam Brown, has had over thirty years as a firefighter paramedic and still is a Boy Scout. He has taken “his life” and poured it into a book for children about fire safety facts. The bigger picture here is that within this wonderful children’s story, Mr. Brown not only addresses fire safety, but also bullying and learning how to stand up for what we believe in. He writes at the beginning of the book, “I AM – I CAN. I am somebody, I can do anything.” What a message to give to our young people of today. Beyond the story, Mr. Brown includes crucial fire safety tips that should be addressed by all families. What a wonderful way for children to learn about the rules of keeping safe. There is also a place at the back of the book for families to write in their own safety tips and their safe meeting place. I would highly encourage families to buy this book for their children and then to follow through with safety plans. This book will become one that I will be using in my classroom to introduce fire safety to my students. It will also be useful when dealing with the topic of bullying, and also about how we each should give of ourselves to help others. Congratulations, Mr. Brown, on creating a book for all children. Herbert I AM – I CAN is a book that should be in every family’s home library, as well as should be in classroom, school, and public libraries. The story along with the rich illustrations makes this a book to be shared with all children. The author and illustrator are a sister and brother team. I am hoping that they continue in their journey to create more children’s books, which seems to be their plan. The exciting thing for me as a third grade teacher is that even though the main character is a first grader, this story will impact my students as well. I love this story! I was impressed to find that on the author’s website she has collaborated with teachers to provide instructional materials to correspond with Do I Have To? After thirty-five years of teaching and hoping for five more, I now have a new resource to begin my school year and I’m excited about sharing this book and the corresponding activities with my students. Best yet, the activities are higher-level thinking skills getting children to compare and contrast as well as make text-to-self connections. 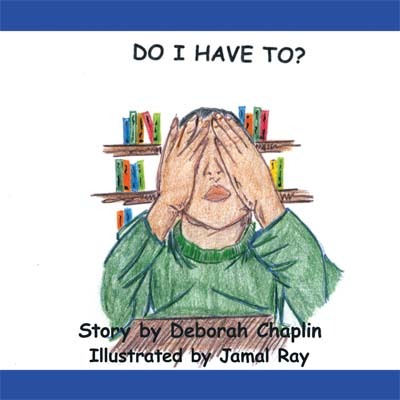 Thank you, Deborah Chaplin and Jamal Ray, for creating this wonderful resource for families and teachers. Children are sure to fall in love with Do I Have To? 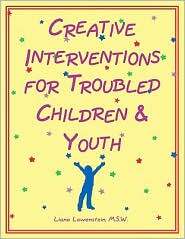 Creative Interventions for Troubled Children & Youth by Liana Lowenstein was written for therapeutic work with children, teens, and families. It consists of games, art activities, and such which deal with assessment, identifying feelings, coping with feelings, social skills, and self-esteem. It has received great reviews from people in the social work/counseling fields. The only concern that I’ve read in other reviews is that this book recommends some commercial games. This could be a problem, but most people would be able to modify the suggested activity without purchasing the game. After taking a close look at this book, I wanted to see if it would be a valuable asset in my school and I was pleased to discover that the activities could be used in a classroom, individual, and /or small group setting. I believe this resource can be a valuable tool wherever adults are working with children to learn more about themselves and how to handle the stresses in life. I believe they can be used with children before they receive the label of “troubled.” I would highly recommend this resource. This book is the sequel to Creative Interventions for Troubled Children & Youth by Liana Lowenstein. This book also has games and activities relating to assessment, identifying and coping with feelings, social skills, self-esteem, and in addition it has a chapter on anger management. These interventions use art, music, toys, games, and storytelling to help children learn needed skills to be able to navigate their lives. Once again I feel that these interventions can go beyond the therapist’s office to a school setting, and even there beyond the guidance counselor’s office into the classroom. This book along with the previous is a valuable resource in helping children to deal with problems and learn how to cope with their feelings. The activities are engaging and will create memories that will teach children strategies for life. This is an excellent tool for adults to use with “troubled” youth, but also to use with children before they ever would receive that label. It could be what it takes to keep a child from reaching that level because they would be learning how to make better choices/decisions as they grow into the healthy adults that we would want them to be. Mr. Ellerton has put together an excellent resource for parents/families to put tools in parent’s “toolkits” which are strategies to help all members of the family learn how to get to know themselves and others. With these “tools” people will improve their communication skills and be able to achieve their dreams. I particularly appreciated the chapter about the six primary parenting roles. I feel the strategies shared here help to show parents the many roles and ways to help their children through life: caretaker and guide, coach, teacher, mentor, sponsor, and awakener. I think it is very important to see our roles as parents from different perspectives. I feel it is essential for parents to learn and understand the many different ways their children need guidance throughout life. Reading this book and practicing the strategies and learning all there is to know about NLP will take time and effort. Parenting, especially GOOD parenting, needs both our time and our effort. It is THE most important job in the whole world, the ONLY one that doesn’t come with any training. This book will definitely be one that I share with parents in the parenting classes that I facilitate. Buying this book and spending the time to work through it is a small investment for a lifetime of better relationships in our families. Our families and homes are the most precious things to us, but too often we don’t take/make the time to plan for the family’s safety. We seem to often put it on the “back burner” and as we all know, leaving something on the back burner can create disaster. 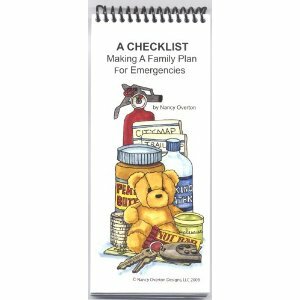 So, I encourage all families to get A Checklist: Making A Family Plan For Emergencies and get right to work to make every member of the family feel safe since knowledge is so essential in helping everyone to feeling secure. I will be recommending this book to all families attending my parenting courses. It is that important.